If you are born on April 15, you are an intelligent Aries but can be impulsive. Your wisdom comes from yours or someone else’s experiences, trials and errors. You have the ability to learn from observation. Your perception of the world is usually practical and levelheaded. What the 15 April birthday horoscope says about you is that you can be a hot mess sometimes, Aries. Yes, you get angry and you do not care who knows it or who sees you act out. To say the least, you are hot-headed and headstrong. Is this typical of a Ram or what? Arians may give the impression of being a timid person, but that is a common misconception. You do not have to put up a front with those that love you! Everyone respects your independence and knows that you are relatively uncomplicated deep down. The April 15th birthday personality may have many skills and talents that have gone unnoticed and untouched. Those born on this day perhaps would benefit from realizing and cultivating those gifts. You certainly have the energy for it. If today is your birth day, you understand and appreciate the needs of others largely because of your upbringing. You as an Arian, deal with situations rather than complain about things you cannot control. You are likely to choose your battles carefully eliminating the small and insignificant disruptions. As a parent, those born on this zodiac birth date, are likely to be fair but a bit too generous with your children. Discipline is not your strong suit. Your focus is on making their lives brighter. You could be guilty of spoiling your children. The 15 April birthdate analysis shows that you want love and companionship. The perfect or ideal partner for you is one who has the same qualities as you. The rapport would hopefully be one that is filled with enthusiasm for romance and love. You like someone who is not afraid of being the aggressive one. Now, once you have found this incredible person, do not damage it by your tendency for unwarranted jealousy. That is only insecurity and you have no justification for it. Just as you adore your freedom, so will your like-minded partner. What is good for the goose, has to be good for the gander. This Aries birthday person being bold, is capable of solving any obstacles. You tackle problems head on and with surety. It is a pleasure to work with those born on this day. 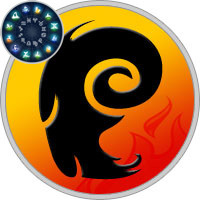 Aries, you are creative and are capable of working as a harmonious team member. The 15 April birthdate meanings show that you have leadership qualities and generally have good public standing. Some of you are interested in technology, research or something scientific. There is a potential for work in the electronics field. If you are interested in adventure, the military is where you should be. You could easily be assigned to various departments of law enforcement. Most of you with an April 15th birthday are lucky in money. You are fortunate, Aries, not to have any money concerns. Typically, the 15 April birthday personality are concerned with financial security. But before making any final decisions, you are likely to want the approval of your family or closest friends. Whatever you decide, you will find gratification and organization. If today is your birthdate, you rarely have health problems. You have a healthy appetite as you eat constantly but hardly gain a pound. It takes a commitment to exercise. But you will be able to continue to have good health long after your retirement years. Some born on this day, however, are subject to suffer with fatigue. Eat foods that are rich in protein and low in carbohydrates. A good dose of exercise as a routine can ultimately boost your metabolism. So you will have more energy. The 15 April birthday astrology analysis show that certain influences can have bearing on your character. Mainly though you represent an Aries who can be quick to react to situations but are capable of solving problems. You were born with leadership talents. Their childlike innocence, sweetness, generosity, and kindness make them the darlings of their family circle. As parents, April 15 individuals have extraordinary abilities, though they find it hard to enforce discipline. The only expectation of these individuals is their children’s happiness. April 15 individuals aspire to be loved and rely upon the acceptance of those who are dear to them. As they grow older, they become more ambitious; in later years they’re likely to involve themselves in a succession of goal-oriented activities that could include going back to school or a radical career change. April 15 Zodiac belongs to the third decan of ARIES (April 11-April 19). This decan is strongly influenced by the planet Jupiter. This is representative for people who are ambitious, opportunity takers just like Aries and forceful and lucky just like Jupiter. This period tempers the positive and negative characteristics of Aries zodiac sign, slightly enhancing the negative ones. Being born on the 15th day of the month suggests pragmatism, responsibility and a lot of talent and devotion. The numerology for April 15 is 6. This number reveals responsibility, affection and a domestic approach to life. Those Aries associated with the number 6 enjoy spending time with families and building a safe environment for those they love. April is the fourth month of the year, bringing great opportunities to plant the seeds of success for later in the year. Those born in April are attractive and adventurous. April 15 Zodiac people are determined but understanding. April has as representative symbols the Honeysuckle and Poppy as plants, the Diamond as gemstone and Aphrodite the Greek goddess of beauty. Routine and monotony of these people suffer quite badly. Therefore, it is better to deal with the generation of ideas and the creation of something new, after passing their projects and bring ideas to someone else who is better cope with the role of the manager. But born April 15 is very hard to pass leadership to someone else, and by voluntarily go into the shadows. Also, they are hard to let things take their course, just watch and watch without interfering or changing without converting anything active. Born April 15 need to learn to be more open to the world and responsive. Born April 15 also is to be feared practicality and earthiness, they can become too primitive and completely ignore the needs of those they love. It is not necessary to sacrifice their romance and innocence for the sake of all that is called growing up. Also born on April 15 will be very helpful ironic attitude to themselves and the ability to play the fool a child, forgetting everything.